Security and entrance solutions provider Royal Boon Edam has entered the Australian market and promise to offer sustainable, secure entry services for the commercial building space. With 140 years of design experience, the Dutch-born company has now launched downunder through their own Australian subsidiary. Boon Edam’s National Sales Manager Alastair Russell explains that the company works closely with some of the world’s leading organisations to ensure they meet their sustainability and design goals. Boon Edam has worked at several LEED Platinum status buildings around the world, implementing security and entrance solutions. Boon Edam’s solution, the Tourniket is based on the ‘always open, always closed’ principle that ensures the entry remains open and welcoming to visitors but keeps heat, cold, rain and noise out. According to Russell, there is less opportunity for the outside air and the conditioned inside air to mix, helping the building achieve a more comfortable working environment as well as energy savings on heating or cooling the interior. The Tourniket ensures that eight times less air is exchanged on average through a revolving door than through a normal sliding or swinging door. 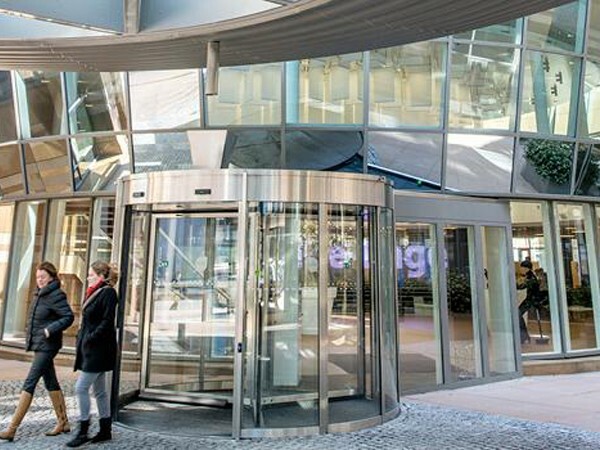 Boon Edam’s decision to enter the Australian market was based on the continuous positive trend shown by the country towards well-designed sustainable and secure building entrance solutions. Chief Commercial Officer Lourens Beijer noted that the combination of quality, lifecycle costs, comfort and design in their products holds a lot of potential for Boon Edam in the Australian market. The company’s local presence will also ensure excellent service delivery to various global customers active in Australia.